Non-revenue water is among one of the top issues facing water utilities today. According to Power Over Energy, an estimated 2.1 trillion gal of treated drinking water leaks from outdated systems in the U.S. each year. The American Water Works Assn. indicated that 237,600 water line breaks that occur each year cost public water utilities approximately $2.8 billion annually. Worldwide, the World Bank, calculated that non-revenue water—the cost of water lost to leaks along with standard theft and billing errors—exceeds $14 billion. Water conservation programs are essential to preventing non-revenue water losses and protecting precious water resources. An advanced metering infrastructure (AMI) system can be a fundamental component of any conservation program. Detecting and stopping leaks allows water that would otherwise have been wasted to be conserved. There are three steps utilities can take to use AMI leak detection to conserve water: metered leak detection, district metering leak detection and acoustic leak detection. Each method leverages specific aspects of AMI technology to detect leaks in different ways. 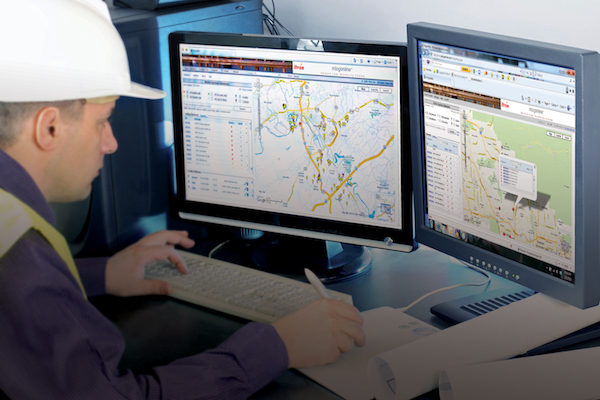 AMI solutions transform data collected through the system into valuable and actionable intelligence for users across the utility, empowering the entire organization to address conservation and revenue protection. With certain AMI systems, a leak flag is sent whenever continuous flow of a metered account is detected over a specific timeframe. A communication module takes a consumption reading at the top of every hour and records this reading into its memory. When the reading is taken, the module can detect if there has been flow over the previous hour or if there has been no consumption. If there is one week of non-zero consumption (continuous flow), the communication module marks this as a potential leak and includes a leak flag with its next data transmission. The data passes through the AMI collection engine and ultimately is accumulated in a data repository where leak and other data can be viewed. The user can see consumption values over time to see when the potential leak began, if it is improving or getting worse, and the day it was repaired. Estimates for the annual loss of revenue for non-revenue water­—that is, water that is mis-metered, stolen or lost due to leaks—exceeds $3 billion in the U.S., according to a study from The World Bank. Identify the meter or meters that feed water into the district (i.e. the master meter). Identify the group of meters in the district and combine the total consumption of these meters on an interval-by-interval basis. Accrue the combined consumption of the district into a virtual meter. Compare the net consumption of the master meter with the metered consumption of the aggregated district on a time-synchronized interval-by-interval basis. Any difference between the net consumption of the master meter and the aggregated consumption of the virtual meter is considered non-revenue water, which can include leaks. The precise time-synchronization of all readings to the top of the hour or some other reference point is a key component of this analysis. In other words, one cannot compare consumption of the master meter today to the aggregated consumption of the virtual meter from a different day. It must consist of an instantaneous comparison of water-in to water-out at the same moment for accurate analysis. Non-revenue water can result from leaks, theft or mis-metering. However, when a district metering analysis has been performed, much more information is available regarding where to look for leaks throughout the network. Acoustic leak detection is another way utilities can account for and identify non-revenue water. The combination of acoustic leak sensors, AMI technology and data analysis software enables proactive leak mitigation. Using a communication module with an integrated acoustic leak sensor, water providers can collect and analyze vibration patterns from anywhere in the distribution system, improving their ability to maintain critical water infrastructure. Having a proactive acoustic leak detection system reduces non-revenue water and conserves water resources through early leak warnings. Utilities can lower repair costs by finding and repairing leaks before they become costly main breaks. By pumping and treating less water, utilities extend the lives of their facilities. Metered leak detection, district metering and acoustic leak detection allow utilities to be more sustainable by reducing the number of leaks in a system and the amount of water that would otherwise have been wasted. Using AMI to detect leaks can maximize water supply availability by detecting new, evolving and pre-existing leaks automatically. It also can mitigate pipeline accidents and infrastructure leakage with an eye toward improving utility operations, maintenance and capital improvement decisions. Ultimately, this technology enables utilities to focus on conservation and create a more resourceful future.